is the Carl E Koch Professor of Economics and Policy Studies and the History and Philosophy of Science at the University of Notre Dame, and a fellow at the Reilly Center in Indiana. His latest book, together with Edward Nik-Khah, is The Knowledge We Have Lost in Information (2017). Friends, citizens, dilettantes: we are tearing down the citadel, the inner sanctum of science awaits you. The era of unwieldy hierarchy is on the wane; now is the hour for networked knowledge, for the crowd and the cloud, for the hive mind to rise up and unleash its buzzing potential. Many of us can recall the joy of opening up our first chemistry set, or building our first model rocket, or hacking our first line of code. Who could possibly object to freeing one’s fellow civilians to chase butterflies and catalogue chromosomes, all in the pursuit of scientific progress? Prior to professionalisation in the 19th century, layman’s science was basically the only game in town. Nowadays, such folk are known as ‘citizen scientists’ – that is, ‘members of the general public who are participating in scientific research not as guinea pigs or funders, but by conducting experiments, making observations, collecting data, and engaging their minds to tasks beyond the reach of today’s best computers’, according to Darlene Cavalier, a professor at Arizona State University. For some observers, this is little more than harmless puttering. For its champions, Cavalier among them, it’s nothing short of revolutionary. The very label ‘citizen science’ (as opposed to, say, ‘amateur’ or ‘extramural’) carries the unsubtle suggestion that science should be a participatory democracy, not an unpalatable, autocratic regime. Proponents claim that it has all manner of salutary side-effects. People will get the knowledge they want through direct action, it’s argued, instead of having it shoved down their throats by some Ivy-league elitist. Getting a hands-on appreciation for research will help to dispel the worrisome doubts that certain citizens now possess about the legitimacy of scientific authority. And when it comes to medicine, discoveries of novel therapies are increasingly rare, despite the desperate manoeuvres of the pharmaceuticals industry; citizen participation should speed up research and make it much easier to replicate results. Finally, the retraction and replication crises that have besieged academic journals suggest that ‘proper’ science might not be so proper, anyway. Perhaps it’s time to consider alternatives. But things lose their lustre when you look a little closer. It’s not a coincidence that citizen science lowers the cost of research that requires lots of routinised labour. Thankfully, we’re flush with design tools that manage to transform repetitive, mindless behaviour into something strangely fun and addictive: games. Galaxy Zoo, a non-profit, amateur astronomy project initially set up with data from the Sloan Digital Sky Survey, asks participants to scan millions of celestial images for common galactic morphologies; to keep their attention, players can spell out words with constellations, or win points for certain cute galactic structures. Smartfin, from the Scripps Institution of Oceanography at the University of California, San Diego, gets surfers to attach a sensor to their boards and collect data on salinity, temperature and the like, all of which is pinged back to Scripps once the surfer makes it back to the beach and hooks up the fin to a smartphone. 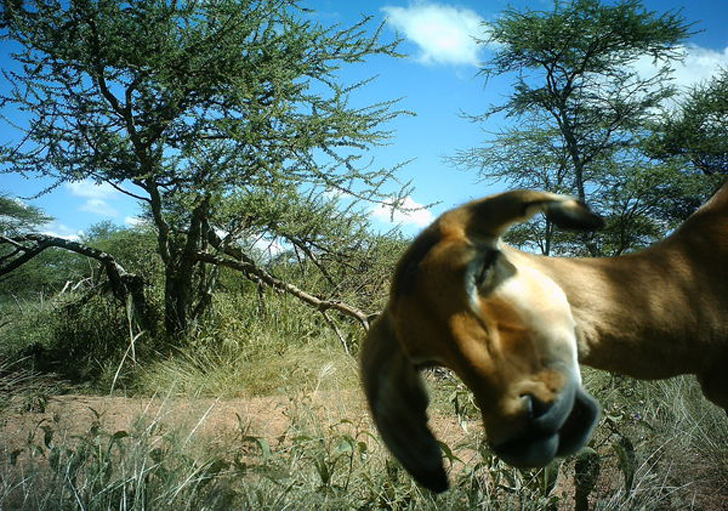 Hundreds of ‘camera traps’, scattered around the Serengeti National Park in Tanzania, capture images of creatures that can then be identified by users at Snapshot Serengeti, thus keeping track of animal populations; to amuse themselves, people can attach comments to their favourite photographs (lolgoats, perhaps, rather than lolcats). It would be one thing if the citizen science was, in fact, a grassroots political ferment growing from the bottom up. 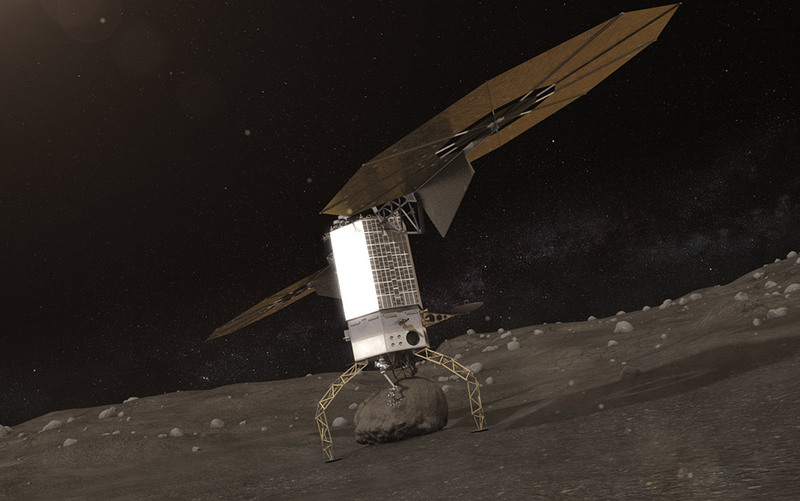 However, let’s look at who’s behind a sample of recent initiatives: the National Science Foundation in the United States, which funded the PBS series The Crowd & the Cloud (2017); US congress, which passed enabling legislation for citizen science in the American Innovation and Competitiveness Act (AICA) (2017); the Pentagon’s DARPA, which donated $10 million after 2012 to introduce biohacker spaces in more than 1,000 high schools; an NGO called the European Citizen Science Association; and various foundations with deep pockets dedicated to something called open science. Not much space left for the average Joe. Indeed, the ‘citizen’ herself seems almost entirely absent from this crowded phalanx of bureaucratic programmes and entrepreneurial interventions, all united in their fervour to found a republic in which citizen science can flourish. The irony is that some of the individuals who do take part appear to be motivated by a burning distrust of the government or else a rebel anarchism set against large corporations – sentiments that are common among cadres of biohackers. Yet it’s those very governments and corporations that are injecting the money and ginning up the momentum behind the movement. Something doesn’t stack up. What’s really behind the rise of citizen science? There are a few distinct trends and agendas at work. One is the obvious groundswell of hostility to experts spreading throughout the Western world. It rears its head in revanchist nationalism, the anti-vaccination movement, and global-warming denial. Citizen science seems to be an attempt to co-opt and transform that hostility into something else, something useful. Governments are appealing to the megalomania of the average individual, with the (probably vain) expectation that these people will naturally temper their hostility to scientific expertise, and accept a modicum of regimentation. But it’s hard to see how citizen science can really reverse the post-truth trend. Such a hope flies in the face of sociological research indicating that greater levels of education, combined with Right-of-centre political leanings, exacerbate suspicion towards orthodox science, rather than diminishing it. Secondly, the majority of existing citizen science consists of the public donating its unpaid work and data to privately owned, online entities that subsequently digest it as ‘big data’. In other words, there’s a forest of for-profit networks and startups out there seeking to attract, harvest and capitalise upon the labour they’ve enlisted – a phenomenon that Nick Srnicek, a lecturer in digital economy at King’s College London, has dubbed ‘platform capitalism’. The insertion of such companies into the scientific process creates the risk that they will eventually exert more influence over larger research agendas than they already do. One example is PatientsLikeMe, where patients targeted via advocacy groups upload details about their experience of illness and treatment, which is then sold on to pharmaceutical companies to provide alternative data to conventional clinical trials. It’s an extension of the sharing economy into the heart of scientific research; where once we had to pay for work, now it’s simply a situation in which networks can activate and channel people’s spare resources (labour, time, capital, narcissism) for the benefit of the network as a whole – especially the owner of the platform, who ends up profiting from all this activity. It’s a bit like Match.com meets Amazon, all for citizen science. The winner in this scenario is the startup impresario and the venture capitalist; it’s hard to see exactly what the citizen gets out of it. Citizen science also needs to be understood as occupying the suburbs of a more sprawling reform movement known as open science. Open science is meant to be modular, standardised and capable of execution and scrutiny en masse and online; it’s all about pushing science to be more transparent, to break out of the lab and exit the ivory tower. As a consequence, criticism and kibitzing of research should occur at all stages, from the first literature reviews and data analysis to posted drafts and final online papers. But open science builds off platform capitalism too, where ‘openness’ is regarded as complementary to ownership. In one sense, citizen science provides the requisite reserve army of labour required for the new open-science regime. Finally, citizen science is fuelled by the fact that the public sector is trying to get out of the science business. At least since the 1990s, many governments have been trying to shed responsibility for the funding and coordination of scientific research and training. Support for universities has been squeezed, offices of science policy have been shuttered, and research has been willingly palmed off to private sponsors. Governments no longer feel the necessity to produce and maintain a national cadre of highly-trained STEM workers. Policymakers have been especially enamoured with citizen science because it appears to promise the next stage of outsourcing and divestment of their own prior research portfolio – now by farming work out to the ‘crowd’. For example, the US Environmental Protection Agency (EPA) has become an avid adopter of citizen-science strategies; in the process, it has also shed a large part of its workforce of credentialed scientists and replaced them with ‘citizen’ data-gatherers. At a recent National Environmental Monitoring Conference, the issue was raised as to whether citizen scientists were being used to offset recent budget and personnel cuts. The result is greater direct political control of the actual regulation of pollution, compared with an earlier regime that had to accommodate itself to the strictures of ‘experts’. The warm glow surrounding citizen science comes from an Enlightenment belief in some inner thirst to know things, a drive in each of us to acquire bits of knowledge. But the tendency to reify information into blocks of fungible stuff tends to mask people’s real motives. Someone suffering from asthma might like to know if there is excess ozone in her environment; but she might not necessarily care to learn about the chemical composition of ozone or the physiological mechanisms of broncho-provocation in the lungs. In a way, citizen science is an attempt to displace people’s concerns onto a different epistemic plane: from the domain in which people are interested in their personal safety, or the implications of environmental changes, to one in which they are meant to be concerned about supposedly ‘scientific’ matters. Citizen science, I’d argue, is not structured to produce real knowledge. Rather, it’s about rejigging power relations. It draws strength from a certain brand of market fundamentalism – a political sensibility we might also call neoliberalism – in which people’s beliefs about science are simply transactions in a marketplace of ideas, as unassailable as their choice of soap-powder at the supermarket. What does it all mean? Let the market sort it out, not the scientific community. For neoliberals, the market knows the nature of truth better than any human being, a category which includes scientists. The problem with this argument is that it doesn’t recognise that the mind must be prepared to see the significance of certain kinds of information. Being and becoming a scientist doesn’t revolve around a hieratic conformity to some transcendent ‘scientific method’. Rather, it’s the consequence of a long period of immersion in the specific culture of a discipline, such that one begins to be able to perceive what are the valid questions, preferred methods, legitimate styles of research, and so on. By contrast, citizen science often amounts to the bald assertion that you can dispense with everything (including long years of education and apprenticeship) and mimic the outward trappings of science (cool apparatus, measurement, making organisms blink) – and still make a lasting ‘contribution’ to knowledge. Now, if it were just a matter of recruiting people to do the gruntwork, and have the experts check and follow up, such ‘knowledge’ wouldn’t really matter; but that is not at all how citizen science is sold. All movements to make citizens behave more like scientists embody a baneful internal contradiction: if the participants were at all serious, they would have to undergo real training, not a drive-by blast of methodology lite. But in that case, by definition, it would no longer be citizen science. Admittedly, there have been some serious and productive attempts to foster dialogue between amateurs and professionals. The Citizen Science Association, which the Cornell Laboratory of Ornithology started back in 2007, is funded by grants from the government and the S D Bechtel, Jr Foundation, the philanthropic arm of the largest construction and civil engineering company in the US. The European Citizen Science Association grew out of a lottery-funded initiative to create a pan-European advocacy body for citizen science. Both organisations seem to be engaged in the paradoxical quest to ‘professionalise’ a necessarily non-professional movement: promulgating standards for data collection and collation; promoting best-practice standards for institutions such as DIYbio (no weaponising of diseases, please! ); pre-certifying groups to qualify for government grants; publishing dedicated journals; and a host of activities familiar to any denizen of legitimate science. Deep down, the root presumption of citizen science is that the person in the street wants to mimic many of the activities of real scientists – dispensing only with the painful inconvenience of a real disciplinary initiation. If this were all just a pantomime, play-acting for its own sake, then it might be harmless. But citizen science evangelists claim to have higher goals. What’s missing is any discussion of whose interests it’s really serving. For a movement that prides itself on providing a cornucopia of knowledge, it’s astounding the extent to which citizen science is predicated upon glaring ignorance. It involves blindness concerning motives and agendas, and blindness about scientific practice among participants. It can’t really be citizen science if the grassroots have been astroturfed by governments and corporations; and it can’t really produce citizen science if it’s intent upon convincing people that experts are a waste of time and effort. Consider the British Gut project (a collaboration with the American Gut project), which claims to be the UK’s largest open-science project. The citizen participant is expected to pay upwards of £75 as a ‘contribution’, and send off a stool sample that goes to a lab at the University of California, San Diego. (Pity the poor postman.) The microbiome in the excretion is sequenced, and the results sent back to the contributor, in the form of a list of various microorganisms. Is this selfless participation in biological research, or the beginnings of a market in personalised body-monitoring services? Scientists are using the results to build a research database; but corporate participation encourages further interaction with the ‘customer’ to address diet, lifestyle changes, and the like. Citizen science hasn’t addressed the incongruity of aping scientific practice while side-stepping the need to know anything about science. By its very nature, any stabs at citizen science ‘education’ end up being inferior to the real thing. Its clients tend to be kept in the dark about the ultimate goals of the projects they’re a part of and the way in which their labour is really being used. Do participants in water-quality monitoring schemes realise that their efforts might be a prelude to the EPA privatising the water supply? Do contributors to PatientsLikeMe realise that their health data is being bought and sold by aggregators? None of this is about fostering ‘democracy’, either. None of the projects I’ve described approach anything resembling what most people think of as participatory democracy. The so-called precariat has little prospect of setting its own research agenda, much less dictating the uses to which the knowledge will be put. If anything, the objective of citizen science is to render the population more docile, and less capable of asserting any of its own political prerogatives. The endgame is ultimately a retrograde reorganisation of science – one that accelerates its retreat from the academy and an embrace by big business. All the more ironic for citizen science to be marketed to the naïve and gullible as a delectable populist rebellion against all those clueless elites.